Have you ever had a bad day? Maybe you spilled your morning coffee on your brand new shirt, or maybe you got a flat tire on your way to work. Maybe your favorite TV show got cancelled, or you accidentally put on two different shoes that don’t match. Well, no worries, because Eeyore understands you. Eeyore has really had some of the worst days of all time. He once lost his tail and Rabbit used it as pull-string for his bell. His house has been destroyed more times than we count, by a bouncing Tigger, a fluttering butterfly and even just a tiny gust of wind. He can really share in your troubles and now, you can share your experience with him! 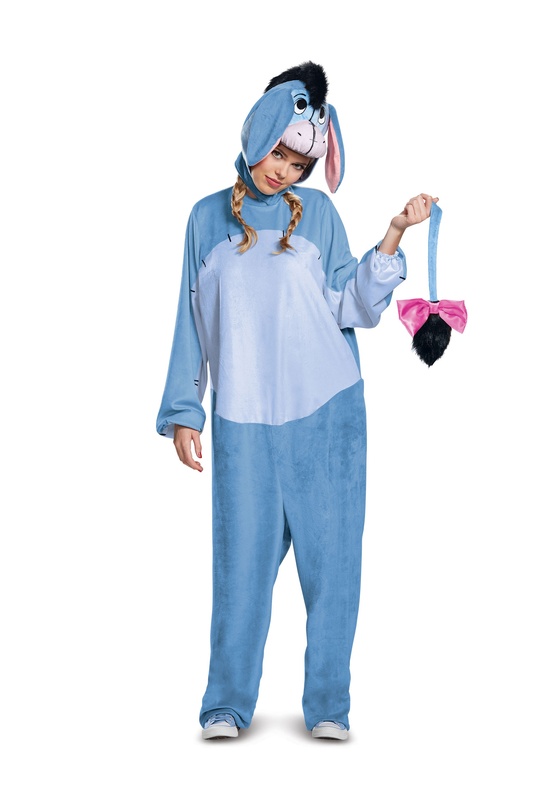 This Eeyore deluxe adult costume helps you step into the role of the classic Winnie the Pooh character. 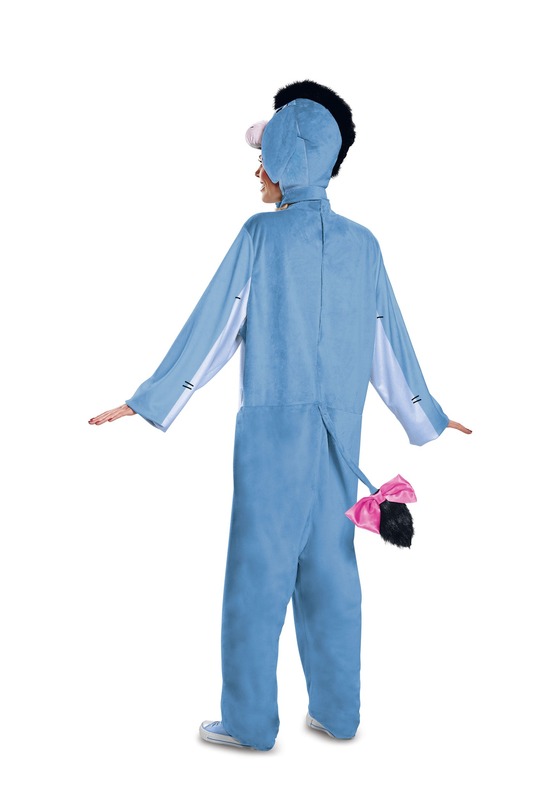 The costume comes with a full-body jumpsuit with blue and gray colors to help you look like a story book donkey. It has elastic around the sleeves and it also has printed stitching. It comes with a detachable tail with a cute pink bow and of course, the finishing touch to the outfit is the character hood. 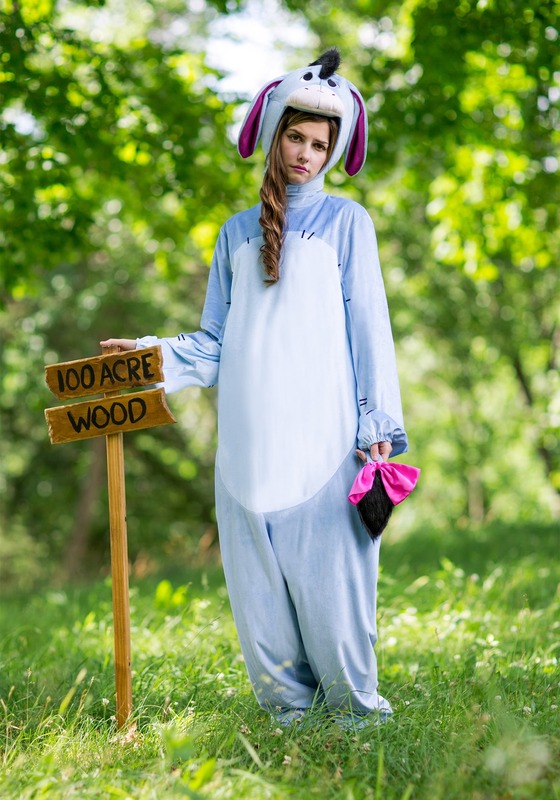 The hood fits over your head with a chin strap and the top is shaped to look like Eeyore’s head. It even has a tiny tuft of black hair on top and a pair of floppy ears on each side. You can finally join Pooh Bear, Christopher Robin and his friends in Hundred Acre Wood.